Have you ever done something for years and then did an internet search on it? oh my! My head is spinning after reading all the complicated ways of explaining succession planting. I’m here to tell you it’s not that hard or complicated. Now, I do have somewhat of a “laissez faire” attitude about gardening. Not that I don’t care what happens, I do care. After all, this is how I feed my family. However, there are too many variables (like weather) that I can’t control so I try not to get too uptight about it. Which might be why I got a headache reading about succession planting. Succession planting is simply planting one crop or multiple crops at intervals so you have a continual or longer harvest. That’s it. Nothing more. How you go about succession planting will depend a lot on your climate and what crops you are trying to grow. 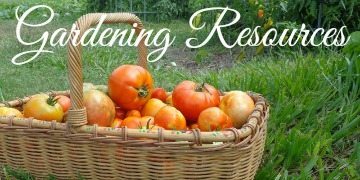 If you need help understanding your climate and it affects your garden I have a great resource for you. 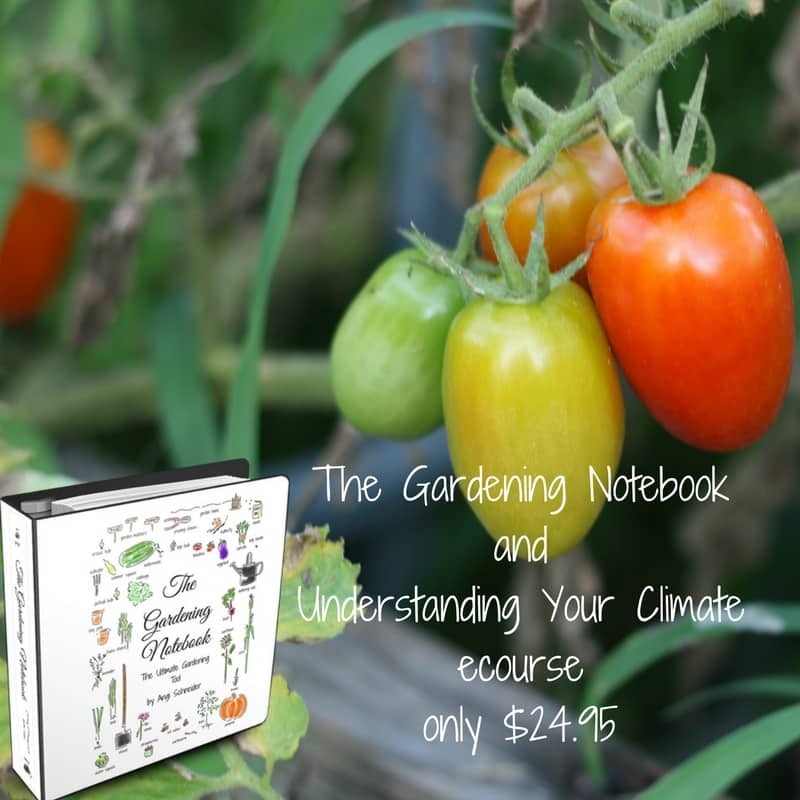 Understanding Your Climate ecourse will explain how your garden is affected by gardening zones (both cold hardy AND heat tolerant), frost dates, day length, humidity, and so much more. One way to succession plant is to simply plant a couple of different varieties of the same crop that mature at different times. This works well if you have a little more space in your garden. It also works well for plants that have a single harvest, like carrots, cabbage, cauliflower, and corn; or a short window of harvest, like determinant tomatoes. Another way to succession plant is to plant the same variety of plants but in intervals. Some people will sow seeds every two or so weeks during their growing season in order to have a continual harvest of vegetables. This works well for fast growing crops or crops that are hard to store such as lettuce, spinach, salad greens, radishes and beets. 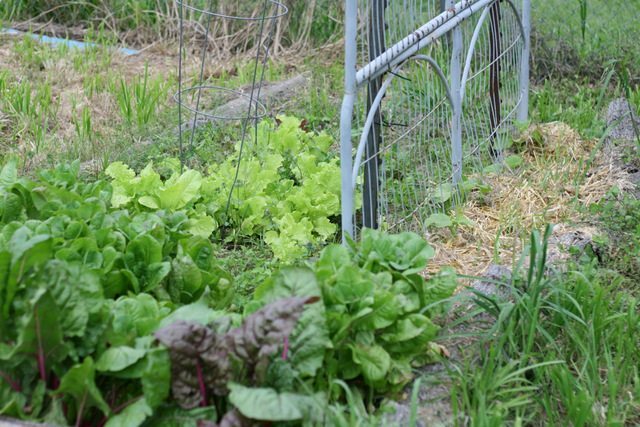 If you’re succession planting more than one crop, a great way to do that is to pair fast growing crops with slower growing crops. For instance, when you plant your garlic, leave a little space to plant peppers. When you pull out the garlic mid summer, the pepper will just be beginning to bush out and will fill in that space. I also like to pair chinese cabbage, bok choy or other “leafy” type cabbages with head cabbage, broccoli, or cauliflower. I pick the leaves of the leafy cabbage and use those while the heads develops. 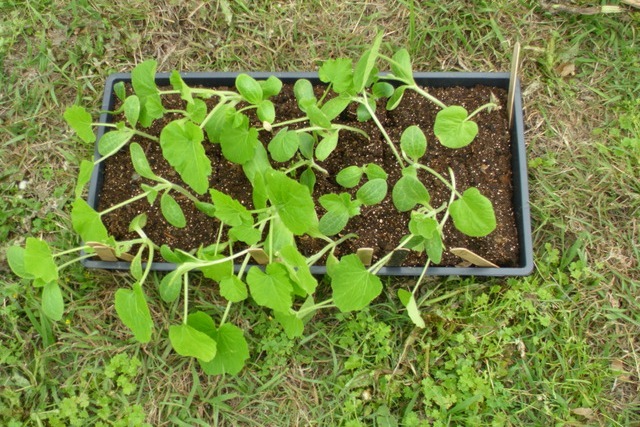 Another way to succession plant multiple crops is to plant a new plant or sow seeds whenever you pull a plant out – or even before the first crop is done, but you’ll need to cut the plant and not pull it out. This means when you pull out a cauliflower plant, you put another crop in it’s place. What you plant will depend on your climate and how much time you have left in your growing season. Because I live in a warm climate our cauliflower is finished in early March so I can plant any summer crops in it’s place; tomatoes, basil, cucumbers, squash, etc. If you live in a colder climate and grow cauliflower into the summer, you will probably need to plant fast growing greens in it’s place. Succession planting takes a bit more soil management than just growing one crop at a time for part of the season, especially if you are gardening year round. Adding finished compost when you plant will help. If you need help with your soil management, I high suggest The Art of Gardening by Susan Vinskofski. She is a wealth of information when it comes to building your soil naturally. Succession planting will mean that you won’t have nice neat rows of vegetables growing in your garden, it will be a little messy. You’ll need to learn to be okay with that. Most food production in our culture is grown in rows and one crop at a time. This makes sense for large commercial operations that are using heavy equipment to sow and harvest. This does not make sense for the home gardener or homesteader. If you want to get really great harvests from your garden, it’s going to be a little untidy. Succession planting takes a bit more planning than putting your whole garden in at one time and then putting it all to bed at the end of the season. You need to think about your climate and how long your growing season is. You need to consider the varieties you want to plant and make sure they will work for what you want them to do. You also need to consider the planting space you have available. I like to keep notes and garden layouts for each year in my gardening notebook which makes planning the next year easier. 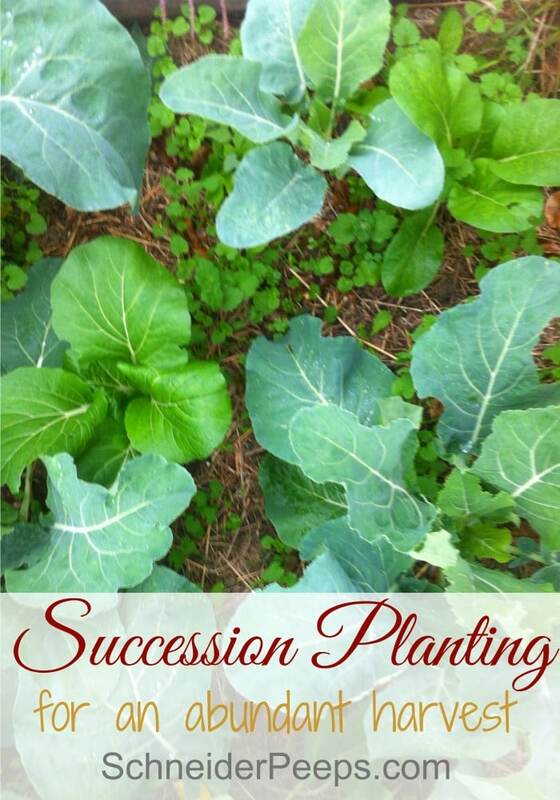 The more you practice succession planting the more effective it will be. We have some planting calculator worksheets to help you figure out how much of each plant to plant for your family. Just enter your email below and they’ll be emailed to you. It’s important to remember that there isn’t one right way to succession plant. In fact, most successful gardeners use a combination of all the methods mentioned above. If you’ve never succession planted consider doing some this season. Just do what makes sense to you based on what you want to grow and what you know about your climate. I succession plant salads mostly and intercrop slower to mature plants like purple sprouting broccoli with faster plants like spinach which like the shade under the broccoli. I’m determined to do more successional sowings this year with tomatoes and peppers which came in handy last year after a late storm decimated early transplants. Thanks for sharing, Emma. Bummer about the storm, but that is one of the reason I sow seeds when I put in our transplants. Happy Gardening! 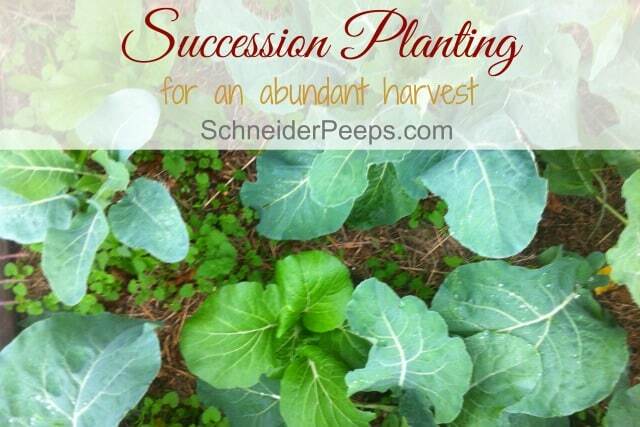 I do like to use succession planting but I still want to get better at it. Thanks for sharing your methods. I was outside dreaming (walking through the snow) about where all we could plant food this year. 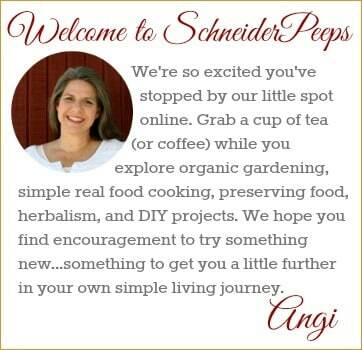 I hope to add berries and fruit trees and more edibles around the house as well as in the garden area. Good advice for keeping in mind the climate and the length of the growing season, as they both greatly influence the success of growing vegetables and their quality.